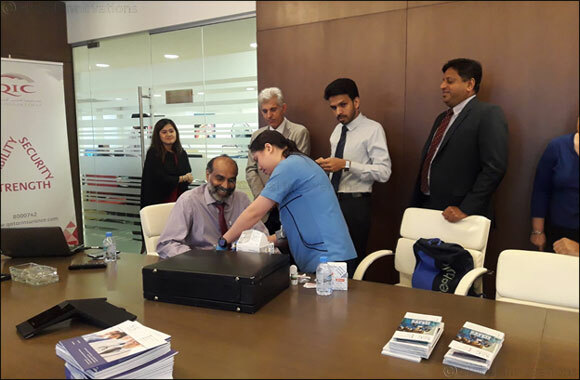 Doha, December 06, 2018: Qatar Insurance, the leading insurer in collaboration with Syrian American Medical Center commemorated World Diabetes Day by organizing an awareness workshop for its staff. The workshop included a presentation on the risk factors for diabetes, its symptoms and early detection signs, strategies for prevention and treatment of the disease. The session also included free medical checkup for all QIC staff. Attendees also benefitted from the talk given by diabetes educators and therapeutic nutritionists, who spoke at length about following a healthy diet and lifestyle.